We have a new toy — a crazy fancy grill with every gadget known to man that’s piped into our house gas line. No more propane, and apparently no more hot spots. Basil hasn’t stopped talking about the grill, a Weber, naturally. He’s read the entire manual, perused every comment online that he can find and is having a ball testing all its features. 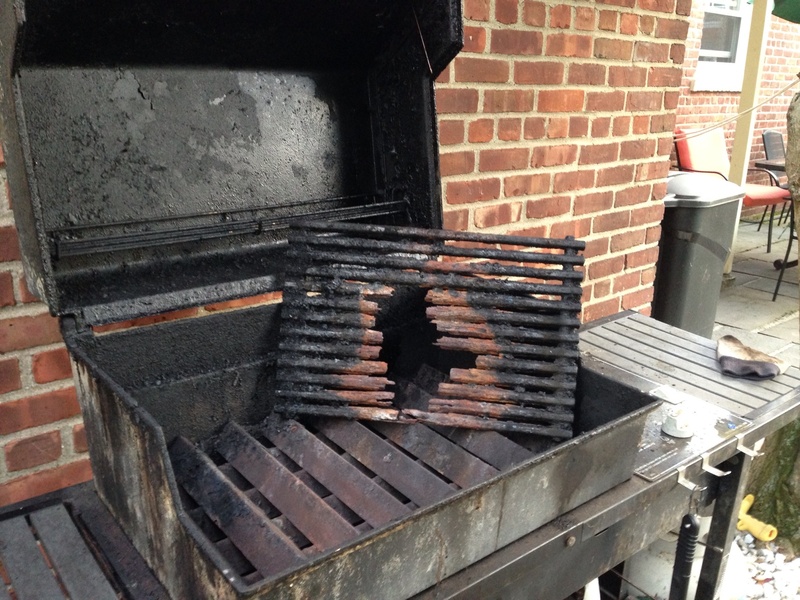 You might recall that our original grill, a housewarming gift 15 years ago, was showing its age despite a yearly stripdown and cleaning and other painstaking efforts to maintain it. It seems Basil got the grill hot enough. That grill’s guts had been replaced more than once. Now it’s in the grill graveyard. The new one is a revelation, or so I’m told. I’ve found it best to just nod, smile and try not to be envious thinking about the things INSIDE the house that could use some TLC. Yes, dear, of course the burgers cooked on this grill are superior to the ones you made last summer. oh and if you get him a rider mower, he may never come inside AGAIN!! yes, he wants one of those, too. Our yard is a little too small, however! What is it about putting a “kitchen” outside that makes a man want to take over the cooking. Its amazing. Have fun Basil and its not even FATHERS DAY!!. But maybe its a MOTHERS day gift because he will be doing all the cooking for now on? Happy Mothers Day Terri. He’ll be cooking the things he feels like cooking from now on, John! Feel free to drop by any time…. Uh-oh! I sense a bad case of Grill Envy developing in this house, particularly after Basil said “lights”. Bill has a snake flashlight with lights on either end that he wears around his neck when grilling in the dark. 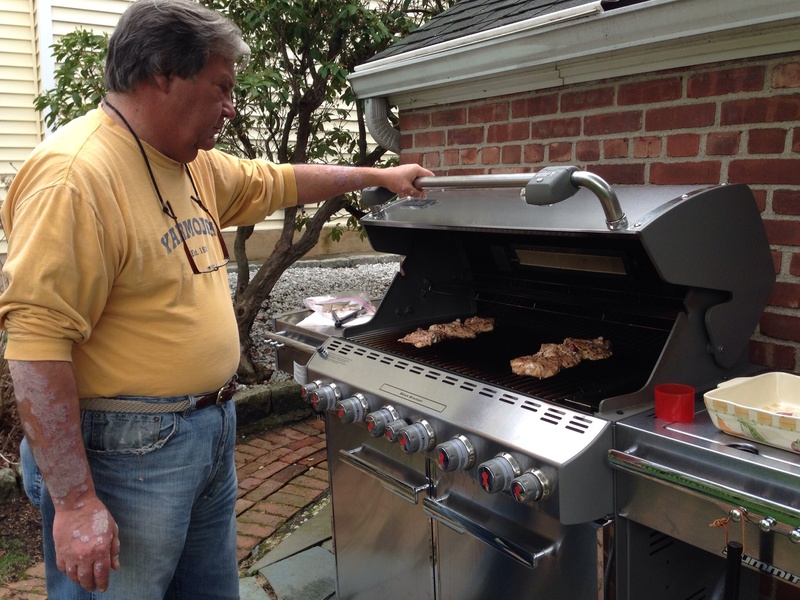 The idea of lights built into the grill never occurred to him before. What a great Mother’s Day present; Basil can take over the cooking. I am totally on board with the dad doing the cooking. It is nice to have a different menu, great role modeling and honestly, everything tastes better when I did not have to do all the work!